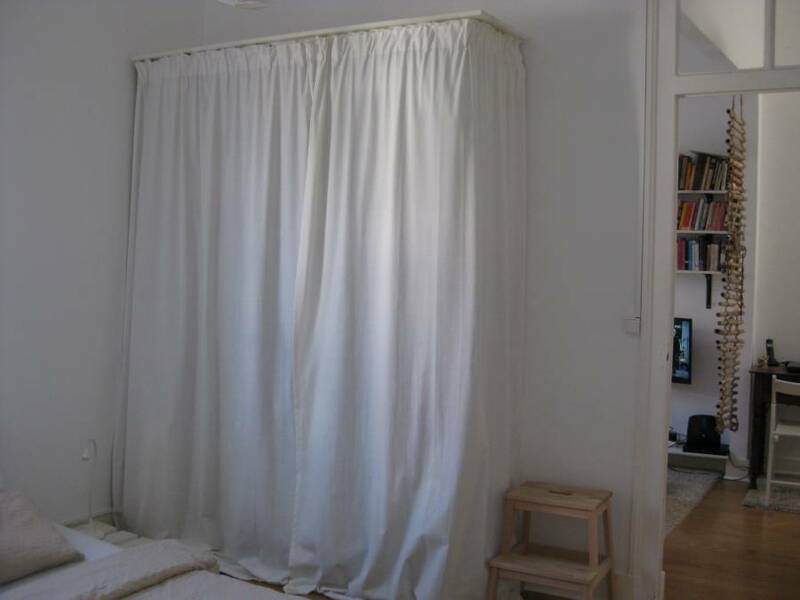 Small but cozy, our apartment is a true nest in the big city, a perfect base for exploring Lisbon and a peaceful retreat for digesting impressions and resting your legs after a day of climbing the steep alleyways of the city. The corner sofa in the living room, loaded with pillows, is the ideal spot to do just that. If you want to catch up on the news or watch a movie there are plenty of channels in several languages to choose from or a wire-free network for your computer. 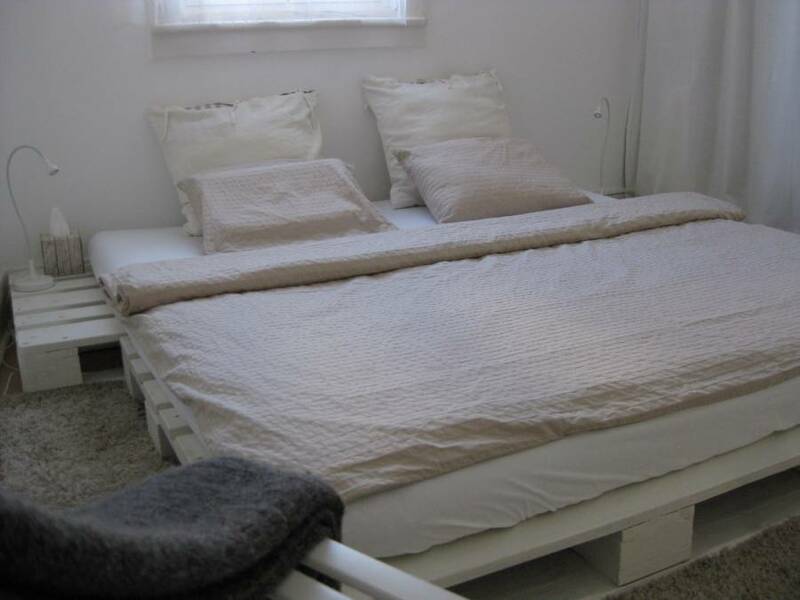 The bedroom is fitted with a large double bed – not exactly out of the IKEA catalogue – and there is ample space for your clothes in the wardrobe. 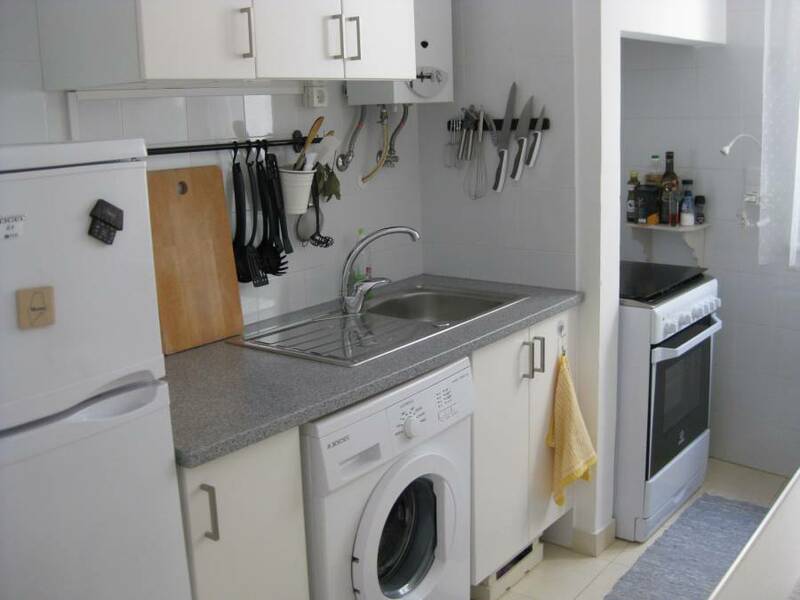 The kitchen is fully equipped with all the utensils you need to cook up some Portuguese delights. 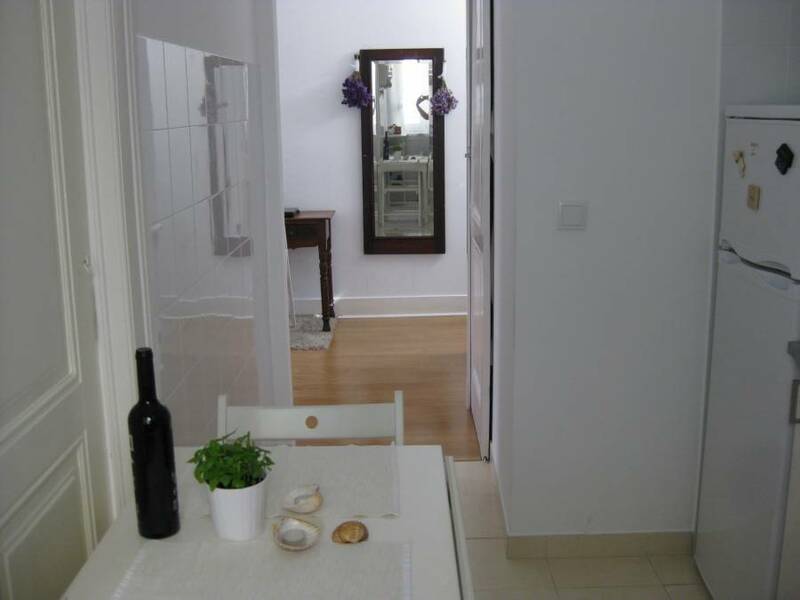 The bathroom is quite small - typical for this type of Portuguese housing. It has a toilet and a shower. The apartment is located in a small private community in the heart of Graca. Bairro Estrela d'Ouro was originally built for the employees of a chocolate factory in the beginning of the twentieth century. The symbol of the community is a five-pointed-star which is visible everywhere in the mosaic of the pavements and most beautifully displayed in three traditional azulejo tile-murals on the walls of three of the houses. The neighborhood offers both a variety of sights within short walking distance and the feeling of living in a village in the middle of a buzzing city. The kitchen is fully equipped with all the utensils you need to cook up some Portuguese delights. The bathroom is quite small - typical for this type of Portuguese housing. It has a toilet and a shower. The wider neighborhood of Graca is stretched out over the top of one of the city’s seven hills only a short downhill walk away from the city center and one hilltop away from the Lisbon Castle. You will find the most breathtaking of Lisbon's many viewpoints “Miradouro da Nossa Senhora do Monte” just a five minute walk up the hill from the apartment and the famous tram # 28 stops just around the corner. Other attractions in the immediate area include the National Pantheon, the Monastery of "São Vicente de Fora" and the famous "Feira da Ladra" flea market held on Tuesdays and Saturdays. Since the airport is in the city it is only a 15 minute taxi ride from the apartment. As is often the case airport taxis are somewhat more expensive than regular cabs but you should not pay more than 15 euros. When you will go back to the airport for your departure you will only pay half of that. Please tell the driver to take you to Rua Rosalina in Graca. Once you are in the cab please call us. We will wait for you outside so you don't have to look for the apartment. There is also a metro station directly at the airport by terminal one. The nearest metro station to the apartment is INTENDENTE on the green line. You would have to change trains at the Alameda metro station. From Intendente it is still quite a walk/bus ride up the hill, so if you call me it is not a problem to pick you up by car by the metro.